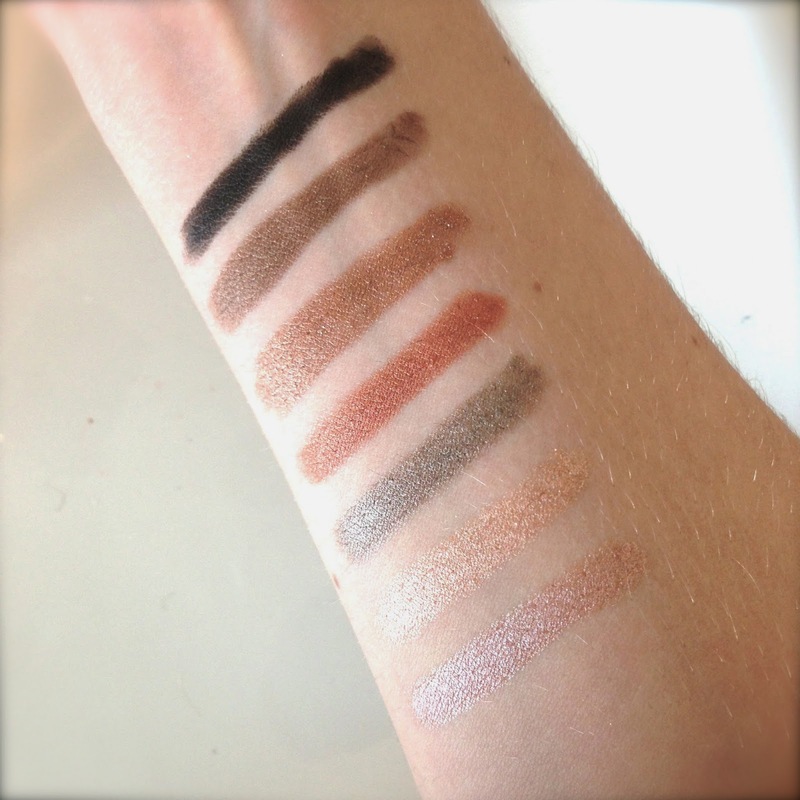 Today I'm doing some swatches and a mini review on the much loved NYX Jumbo Eyeshadow Pencils. These are a must have in everyones collection! They are so versatile and come in an amazing array of colours. As you can see in my collection I like to stick to the neutrals, but if you are more adventurous with you colourings there is heaps of bright fun colours in the range too. What makes these so great is they are so affordable, and yet are really good quality for the money you pay for them. Yes, I can say there are better shadow pencils on the market, but you will be paying more than double the price for them. For an affordable shadow they are great! 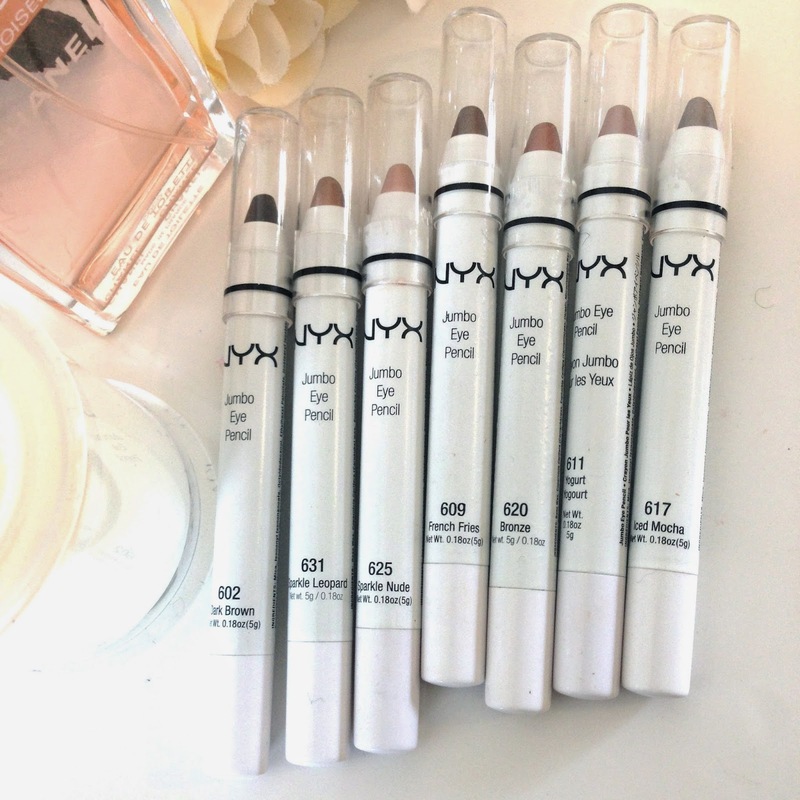 The formula is nice and creamy so they blend over the eyelid with ease. 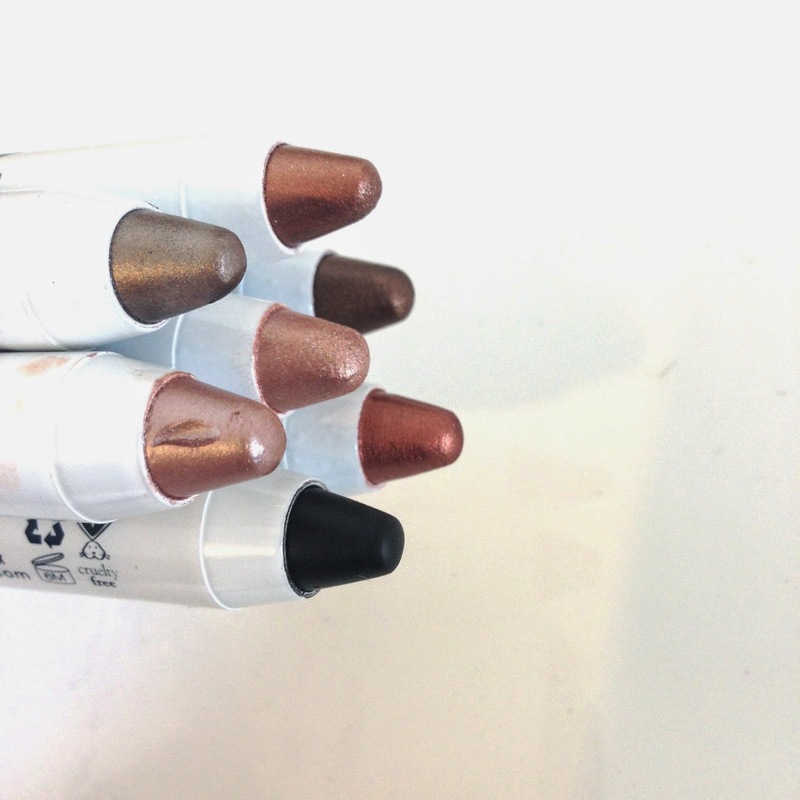 They are very blend-able so you can use them as a all over lid colour or just an eyeliner. I usually tend to use the lighter shades on my inner corner, and my brow-bone as highlights, and the darker brown shades as either eyeliner or in my crease. A good trick because they are so creamy, is to use them as a base for your eyeshadow, which will help make your eyeshadow last longer. These also come in a black and white colour. 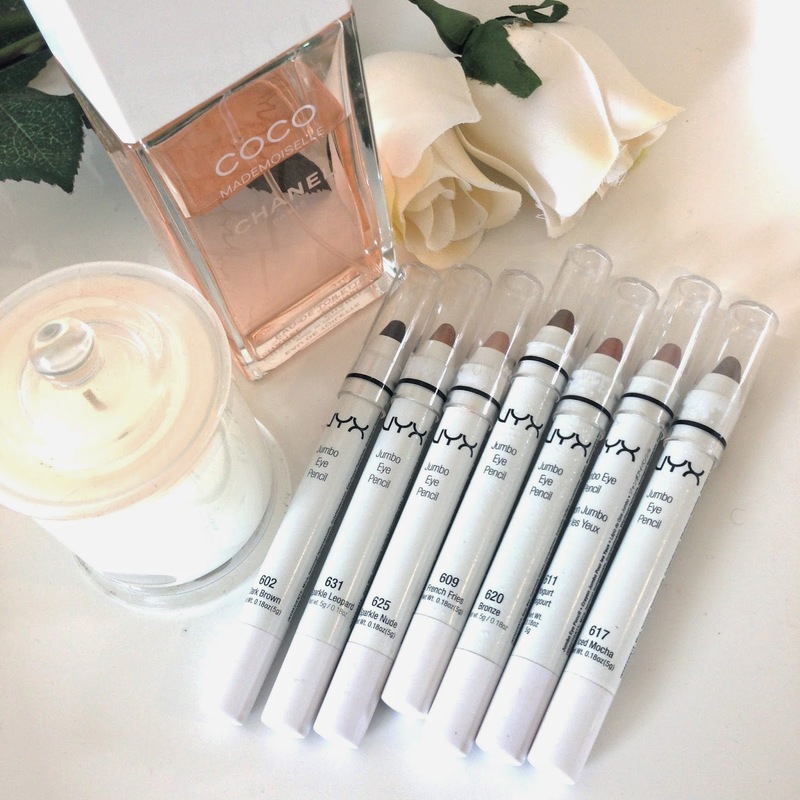 The white is a good one to use to line your waterline for a more awake look, and you can use the black one just as you would with any black eyeliner. My only disappointment with these pencils is they are a mission to sharpen as you have to find a jumbo sharpener. Also they can crease sometimes after wearing them for a long period of time. I highly recommend giving these a go. They are really fun to play around with and experiment. Lately I have been finding myself reaching for these a lot and that is why I wanted to share them with you!